Weve added our patented thermal reflective technology to this classic winter Interchange jacket, delivering an even warmer winter weather fighter with layering options galore. 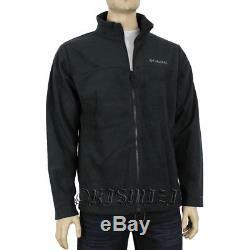 The technical outer shell is waterproof breathable, with adjustability at the hood, hem, and cuffs, and the new zip-in fleece liner features thermal reflectivity, which reflects your body heat for warmth while maintaining a high level of breathability. 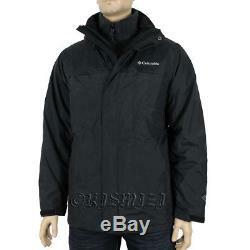 Each piece works as an outer layer on its own during moderate conditions, or wea r them together when you need the jackets full storm-fighting p. Omni-Tech waterproof/breathable critically seam sealed. Zip-in and 3-point Interchange System. Shell: 100% nylon plain weave Ultra Touch. 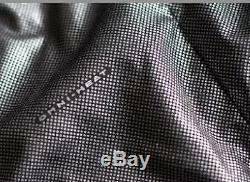 Lining: 100% nylon 210T Taffeta. 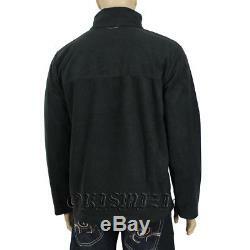 Liner: 100% polyester Dotswarm fleece. This breathable warming technology helps regulate your temperature with little silver dots that reflect and retain the warmth your body generates. Reduces your need for bulky layers. Wicks moisture to keep you dry and comfortable. 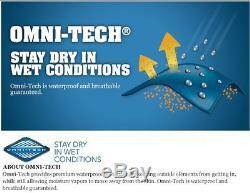 Omni-Tech fabric provides premium waterproof breathable protection from the elements for Columbia`s best products. Microporous material allows vapor from perspiration to escape while blocking outside moisture from entering resulting in a garment that can keep you comfortable and dry even when you`re performing in adverse conditions. Check out my other items. Write down'RETURN' clearly on the envelope and return to the address provided. If items are damaged, we must contacted within 24 hours! We will not accept any items with odors! All original tags must be attached, with no signs of wear! The item "New Mens Columbia Bugaboo 3in1 Interchange Omni-Heat Winter Jacket Coat Parka" is in sale since Friday, November 11, 2016. This item is in the category "Clothing, Shoes & Accessories\Men's Clothing\Coats & Jackets". The seller is "kismizi" and is located in Sarasota, Florida. This item can be shipped worldwide.